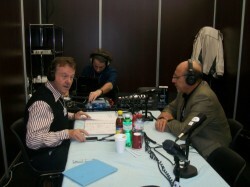 Trevor Manuel doing a live radio interview with me at the World Economic Forum in Davos. 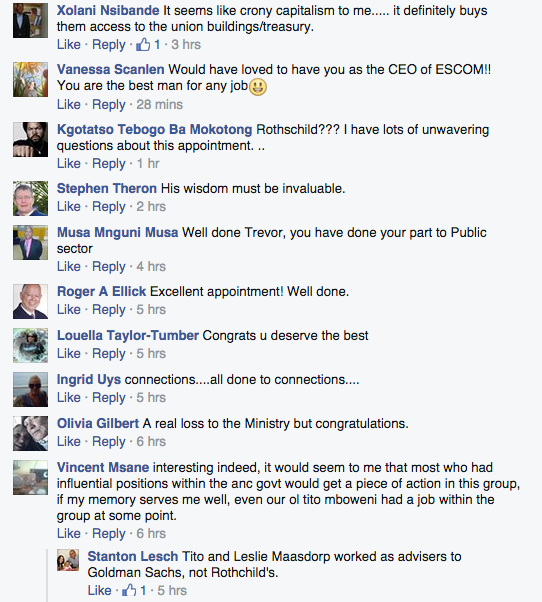 His decision to join the private sector reflects SA’s maturing democracy. Rothschild is pleased to announce the appointment of Trevor Manuel as a senior advisor to the Group worldwide and Deputy Chairman of Rothschild in South Africa, with effect from 1st October 2014. Mr. Manuel will be based in Rothschild’s Johannesburg office and will work closely with its South African team, developing the group’s business in Africa. Mr. Manuel was most recently Minister in the Presidency responsible for South Africa’s National Planning Commission under President Jacob Zuma. He retired from public office earlier this year, having served 20 years in senior government positions in democratic South Africa. In 1994, Nelson Mandela appointed him as Minister of Trade and Industry in the country’s first democratic cabinet. From 1996 to 2009, Mr. Manuel served as Minister of Finance under Presidents Nelson Mandela, Thabo Mbeki and Kgalema Motlanthe. 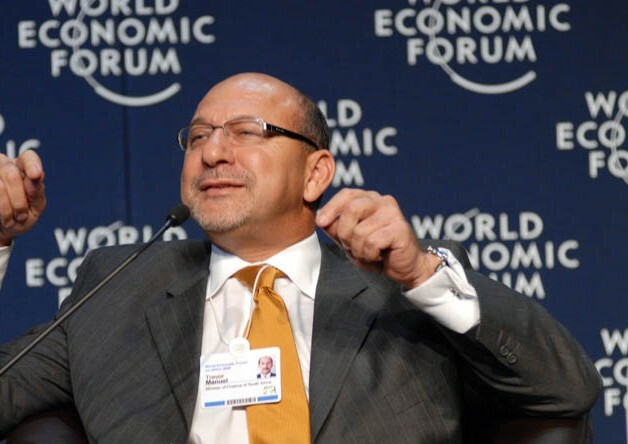 Director and Chairman of the Board of Rothschild in South Africa, Professor Wiseman Nkuhlu, said: “Trevor Manuel’s impressive time as Finance Minister not only won wide respect from the markets, it also created one of the most highly respected fiscal regimes and legacies in the world. His knowledge and experience, combined with Rothschild’s advisory expertise will position us to take advantage of a growing appetite from African companies and Governments to develop their businesses and access capital markets. Rothschild is one of the world’s largest independent financial advisory groups and is currently ranked the No.1 financial advisor in South Africa by Thomson Reuters. Our Global Financial Advisory business provides impartial, expert advice to corporations, governments, institutions and individuals. Mr. Manuel has received a number of awards and presentations, including Africa’s Finance Minister of the Year and the Woodrow Wilson Public Service Award. He has 7 honorary doctorates from South African tertiary institutions and a Doctor of Laws from MacMaster University, Ontario Canada. His South African doctorates are in the following fields: two of commerce, three of technology, one of economics and one of law. He has served as the Chancellor of the Cape Peninsula University of Technology (CPUT) since May 2008. Mr Manuel was born in 1956. He matriculated from Harold Cressy High School in Cape Town. He has a National Diploma in Civil and Structural Engineering from the Peninsula Technikon and completed the Executive Management Programme in a joint programme between Stanford University and the National University of Singapore. He is married to Barclays Africa CEO Maria Ramos and they live in South Africa.